This depends on many factors, in addition to recycling indoor air with outdoor air pollution, from electronic equipments, chemicals contained in the materials of construction of furniture and everyday objects that, with the passage of time are released in the form of dust and others. 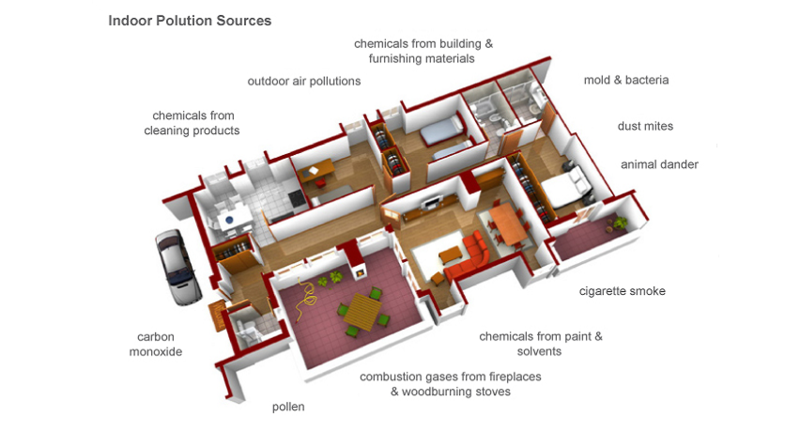 Ensure a good quality indoor air is important for the health and has implications both socially and economically. So much that indoor air pollution is even considered the main cause of a variety of symptoms – such as headaches, respiratory problems, lowering of the immune system and chronic fatigue – summarized in the comprehensive definition of ‘sick building syndrome’ (SBS see JC Glossary). The quality of indoor climate is directly correlated with the types of ions present in the air. Those small, negatively charged, with which the organism, through breathing, is always in contact, are necessary for life and make qualitatively good and pleasant air and healthy climate. Conversely, the positively charged ions, which tend to be deposited into larger particles, such as dust, soot, microorganisms and smog, worsen the air quality because they are too heavy and too long-lived. In case of lack of negative ions, the large positive ions arrive in the airways determing an increased predisposition to infectious diseases of cold. Research work has shown that high densities of negative ions induce, in most people, an increase of the oxygen content in the blood and a decrease in the partial pressure of carbon dioxide, together with a reduction of blood pressure and heart rate . The most vulnerable groups are represented by the elderly (over 65), those with asthma and other respiratory diseases or heart disease, pregnant women and children. Place the IONEX 220 in the children’s sleeping room. 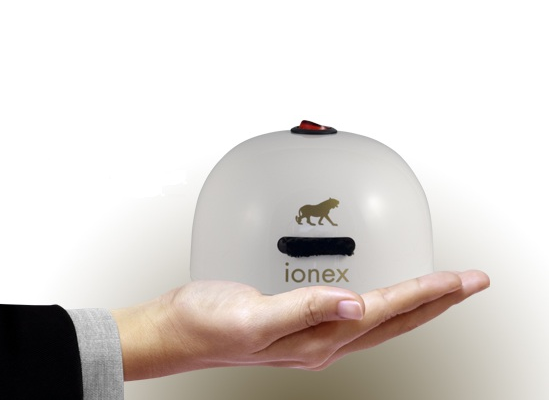 Ionizer IONEX 220 will create the ideal conditions for them to sleep well every night throughout the whole year.